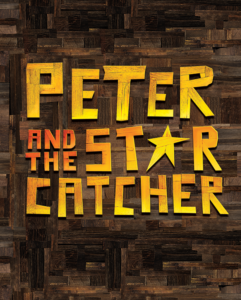 Based on the children’s book by Dave Barry and Ridley Pearson, “Peter and the Starcatcher” features 12 actors who play a dizzying variety of characters—sailors, pirates, British naval officers, Mollusk natives and orphans in addition to 18 major roles. This coming-of-age adventure tale begins when Peter and his mates are kidnapped and shipped off from Victorian England to a distant island ruled by evil King Zarboff. They have no idea that a trunk in the captain’s cabin contains otherworldly cargo. Then they meet precocious, young Molly, a starcatcher-in-training who realizes the trunk contains starstuff, a powerful substance that should never fall into the wrong hands.